When in the month of October last year i.e. 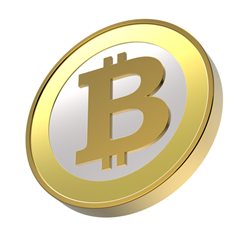 2013, Bitcoin touched the benchmark of $1200; the critics had started paying attention to the digital currency. There are several brokerage firms that that offer Bitcoin trading services; however, it is important for traders to have access to the right information provider as well. When in the month of October last year i.e. 2013, Bitcoin touched the benchmark of $1200; the critics had started paying attention to the digital currency. There are several brokerage firms that that offer Bitcoin trading services; however, it is important for traders to have access to the right information provider as well. According to Jonathan Millet, the founder and CEO of ForexMinute, Bitcoin news widget can be installed at any website or portal and comes at competitive prices. However, he also makes it clear that Bitcoin trading services is not enough as traders also want to know about the digital currency and crucial matters. Mr. Millet says that ForexMinute not just provides the latest Bitcoin news but also provides Bitcoin brokers’ reviews and helps traders select the one brokerage firm that can help them make better trading decisions. As Bitcoin news widget for website and blog owners emerges as the leading choice, ForexMinute aims to bring competitive trading features. Jonathan Millet is of the opinion that Bitcoin is one of the most attractive trading assets these days; this is happening as this trading asset has emerged as a leading trading choice. He says that the organization brings Bitcoin news widgets which contains the latest news about the virtual currency and help them make better decisions. The fundamental aim of the Bitcoin news widget is that every website owner, blog owner and shopkeeper is able to provide a sort of access to their customers and help them get better trading experience. A simple call as well as mail is popular method to spread the right virtues to the target audience. ForexMinute, the world’s leading Forex news and views portal, has become a one-stop solution provider for Forex traders and brokers as well as Bitcoins news and a range of Forex tools. It provides all the required tools to individuals to become a professional Forex trader. Also, it helps Forex brokers provide high-end user-friendly trading experience to traders with an array of resources e.g. financial news by the minute, fundamental analysis, technical analysis, Forex tools and others. For more information, visit http://www.forexminute.com or call +1 800 758 5780. You can have the ForexMinute newsletter delivered to you each trading day. Simply sign up today. You will be kept up to date on the latest market action. It’s free and simple -http://www.forexminute.com/newsletter.